Steve Waugh has come out and expressed his disappointment and frustrations towards the actions at the Cape Town test match last week and I believe we should take note on his comments, being a noble Australian and cricketing legend. Whilst being best known as an attacking and sometimes ruthlessly efficient captain, he was also appointed 2004 Australian of the Year for his philanthropic work, inducted into the ICC Cricket Hall of Fame in 2010, recognised as an Australian Living Treasure and awarded the Order of Australia making him as treasured in Australian shores as a jar of Vegemite!! The Australian Cricket team has always believed it could win in any situation against any opposition, by playing combative, skilful and fair cricket, driven by our pride in the fabled Baggy Green. I have no doubt the current Australian team continues to believe in this mantra, however some have now failed our culture, making a serious error of judgement in the Cape Town Test Match. In 2003, we modified the Spirit of Cricket document originally created by the M.C.C., to empower our players to set their own standards and commit to play the Australian way. We must urgently revisit this document, re-bind our players to it and ensure the Spirit in which we play is safe-guarded for the future of the sport, and to continue to inspire the dreams of every young kid picking up a bat and ball and for every fan who lives and breathes the game. A focused and balanced perspective is needed in the condemnation on those involved in this, with a clear and critical consideration to the social impact and mental health of all players. Combining Waugh's comments with Brown's quote regarding authenticity, let's have a better look at the suggested reasoning behind the actions, looking at the leadership and coaching group in particular, plus the effects this may have going forward. Current coach, Darren Lehmann was hailed as a saviour when he took over in 2013, but critics now accuse him of overseeing a toxic culture that has dented the reputation of the famed Baggy Green cap. After being appointed, Lehmann’s response when asked to list his top three priorities was telling: “Probably win, win, win, for a start,” he told reporters. If part of Lehmann’s brief was to improve the Australian team’s behaviour, there is little doubt he has failed. Players were once considered role models for children, but the situation has become so bad that CA is setting up an independent review into the team’s conduct and culture. Despite generational change, independent reviews and too many behavioural spotfires to list, Cricket Australia and the national team had demonstrated no real willingness or desire to improve the culture within their organisation from season to season. With all the difficulties, culture problems and behavioural issues outlined from past to current coaches, could they lead this emotionally evolving group or should they have taken a more authoritarian role? It is believed that it is beyond the capacity of any coach (or person in senior management or leadership roles in my opinion) to achieve full, predictable control over leadership and development processes. Therefore, coaches need to learn to cope with ambiguity and difficulty of their role, overcoming a sense of legitimacy or validation and the perceived expectations of others; how much would Lehmann give for greater insight into these tactics with his experienced leadership team? Sports coaches of elite athletes act as pedagogues and adopt comprehensive and holistic roles in the moral development of their athletes through their adopted and shared practices, languages and beliefs. Whom they are coaching shall also effect choices and reasons for processes adopted; as defined by Leach and Moon (1999), the pedagogic process is “when participants create, enact and experience together and separately”. This addresses areas including yet not exhaustive to knowledge and ways of knowing, rules of discourse, roles and relationships and values and expectations. If coaches are to develop knowledgeable athletes, capable of performing learned tasks when under pressure and not under direct instructions, I believe this shall require bidirectional transfer of knowledge or total ownership by athletes of their development, with support from the coaches as “more capable other”. Having coaches adopt supporting roles, such as an orchestrating role, allows them to support their “leading actors” through methods such as offering practical guidance with limited control, focusing attention on aiding development through decision making for players and practices from observations, evaluations with positive and honest feedback whilst displaying understanding and care towards players. Kidman’s research (2001) addressed ideas such as coaches developing player’s complex skills and tactical knowledge through encouraging abstract thought processes by asking high order questions, which require athletes to apply, analyse and synthesise information. This style of leadership has the coach steering as opposed to controlling decisions and actions, encouraging player discovery through evolutionary planning and organising of tasks whilst keeping sight of overall objectives and showing empathy to get the best from the athletes. Supporting the comments offered from Waugh, coaches should act as orchestrators whilst attempting to create a successful pedagogic setting which requires a coordination of activities to investigate, monitor and respond with honesty to players. This may require some transparency from coaches to offer rationale for processes. 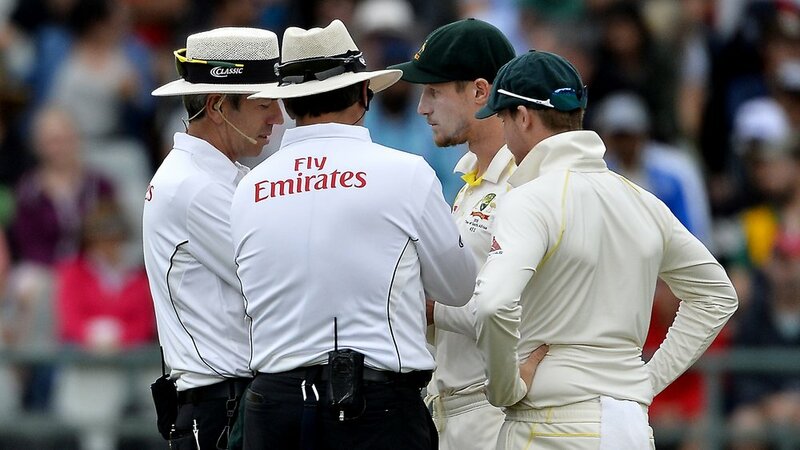 It may also require negotiation of processes with players to meet individual and collective performance measures of those being coached whilst matching evolving circumstances for learning and development against attempting keeping sight of overall objectives, something a clearly distraught Steve Smith could have tapped into on the fateful lunch on day three of the Third Test. Wallace (2001) looked at shared leadership through “promoting cultural transformation for followers through articulating vision of desirable future state, empathising dialogue, team work and mutual support”. Therefore, coaches such as Lehmann shall look to incorporate a greater degree of follower power, gaining an overall system of collective relations between activities, agents and objectives. As defined by Gibb (1954), this form of leadership would be recognised as collaborative, “accomplishing group tasks with leadership as fluid (state) as opposed to fixed phenomenon”. This should enable intrinsically satisfying experiences for all involved, enable personal development through informal and incidental learning opportunities and increased levels of skill and knowledge retention due to increased input into leadership. However, as indicated, this suggests that group or team consensuses may not be reached by team or informal leaders or contradictory or conflicting beliefs developing amongst players shall result in conflicting micro-politics with players selecting personal over collective interests (Hargreaves, 1994), such as reported by Smith v Warner. With these ideas in mind, coaches could acknowledge and support their team as a community of practice or local learning system to teach players within athletic environment socially appropriate cultures of practice, related to their sport. Within this, players can develop shared repertoire, where routines, tools, gestures and concepts become adopted and pat of standard practice by playing members, creating joint enterprise within teams through mutual engagement, therefore finding common goals and reasons for participation in groups. Therefore, a realistic conceptualisation of shared leadership in sports team scenarios would see coaches promoting shared leadership with benefits to all stakeholders but setting boundaries and taking ownership of decisions when disagreement between players arise. Therefore, could it be perceived that Lehmann while acquitted really failed the leadership group and players involved? Issues surrounding the ideas of shared leadership appears to stem around coaches attempting to take the “lead role”. Actions such as controlling behaviours as opposed to self-rule for decisions in fear of becoming redundant, coincided with coach-athlete relationship not being treated as interactive or dynamic in nature could result in poor coach-athlete relations. The argument remains that the perceived democracy of athlete-supportive coaches only offers players an illusion of empowerment; the official focus and directions as determined through group or team goal setting originate with the person or people of most authority, which is inherently the coach. However, coaches forcing ideas and issues in forceful or authoritarian manner, alongside lack of information or honesty between all involved stakeholders shall result in absence in effort or damaged relationships. Autocratic styles, being prescriptive in nature with unidirectional transmission of information results in athletes or players feeling undervalued due to lack of opportunity to voice ideas and experiences with coach and other athletes. Therefore, this disengages players and reduces chances to collaboratively learn and resourcefully develop decision making, problem solving and creative skills. Cognitive development is a social, historical and cultural process, where higher mental functions such as problem solving, planning and communication, are developed through interaction and collaboration as opposed to direct instruction. Direct instruction results in slightly extended form of recitation as opposed to genuine cognitive development. Coaches should recognise and acknowledge that there should be a “dynamic power relationship between the athlete and coach for effective education (and development) to occur” (Jones et al; 2004). I believe coaches can only call upon influence in expert or legitimate power, having no control over social domains of players. Therefore, coaches whom try to “lead” through controlling the education process have a reliance on expert or specialist knowledge, which in turn enhances or negatively reinforces legitimate power. But for #sandpapergate, where would have been the happy medium before the "walkie talkie" questions came too late? Coaches attempting to control every situation creates an understandable strain on responsibility and accountability; therefore, under a “backstage” leadership style of mentorship or athlete led learning, the coach is required and called upon for detailed observation and analysis whilst offering little direct leadership. Offering player or athlete autonomy “positively corresponds to a number of desirable (player) outcomes” (Gagne et al, 2003); these include task perseverance through developed intrinsic motivation and physiological well-being. Coaches can still have impact through supporting athletes through suitable use of expert power. They can offer meaningful rationale for completing tasks, offer support for choices made and empathy and acknowledgement as part of feedback, as explored by Mageau and Vallerand (2003). One of the areas of research surrounding this applicable to individual and team sports is Vygotsky’s Zone of Proximal Development (ZPD). This theory has the coach standing as a recognised more capable other to the athlete with their requirement being to engage in contextual collaborative and learning relationship with athletes to ensure optimal psychological functioning for maximal sporting performance. The coach or more capable other plays a significant role in transitioning athlete from other’s assistance to self-assistance through ideas such as leading questions or prompting higher cognitive thoughts to assist independent problem solving and improved performance in next similar situation. Having three stages in shifting from assistance by others, transition stage and assistance to self, this supports the theory that “development appears twice”. This theory believes development firstly occurs interpsychological between peers or playing group for this context, prior to occurring intrapsychological, where we internally process and develop. As previously mentioned, we recognise coaching as acknowledging social interactive dilemmas within individual and team goal setting and development, offering suitable scenarios and choices with all members’ involvement and collaborative dealing with matters as opposed to eradicating them. Lemert (1997) discussed that coaches “define themselves and their role by their perception of what it means to be a coach with the influence of occupational socialisation and subculture, which provide a sense of others expectations”. However, it is believed coaches whom relationships with players respect their knowledge or expertise in athletic or sports based contexts, cultivate learning without exercising legitimate power and do not influence social aspects or relations can lead to new shared understandings with their athletes. Jones and Standage discuss the ideas that “empowering athletes by transferring decision making to them is gathering momentum” yet I believe within high performance sport, we need to speed this up for concepts including higher levels of player retention, greater satisfaction at all skill and development levels whilst being committed to develop better people when offering scenarios to create better players as a wider community of practice. However, indications from this scenario would be Lehmann may have allowed player based leadership get away from his core values; I believe a shift in player autonomy to allow self-rule in their actions, offering greater consideration and allowance for their decisions shall make the shift by coaches from “being an authority as opposed to in authority” (Bergman Drewe, 2000). This shall in turn gain closer, more impactful relationships with their players whilst creating player volitional control and self-determined and intrinsically driven actions for expertise in their sport, something this leadership group and coach Lehmann may never get another chance of doing in the grandest of stages.